Chartered Physiotherapist based in Dublin City centre. Running is a fantastic means of keeping fit and has many health benefits for the heart, body and mind. However, each year up to 50% of runners suffer injury , the majority being overuse injuries of the knee. Contrary to this, Running is not Bad for your Knees. Pain can be an uncomfortable setback, but should be seen as motivation to address the issue early to enable us to return to enjoyable running. A.K.A: Patellofemoral Pain Syndrome (PFPS), Anterior Knee Pain. Pain around the knee, worsened by repeated use. Not related to specific injury, rather a group of symptoms resulting from several possible causes. No single Surgical or Rehabilitation Protocol is effective for everyone. Recovery time varies per individual and their adherence to their rehabilitation. Education of your specific condition is key to recovering from and preventing recurrence of PFPS. PART 2: WHAT DO I HAVE? WHAT HAVE I INJURED? These questions are commonly heard in the clinic, however as you can see from Part 1, it is not so easy to identify a specific structure as the source of pain. The good news is that it is also not necessary to identify a structure in order to treat PFPS. 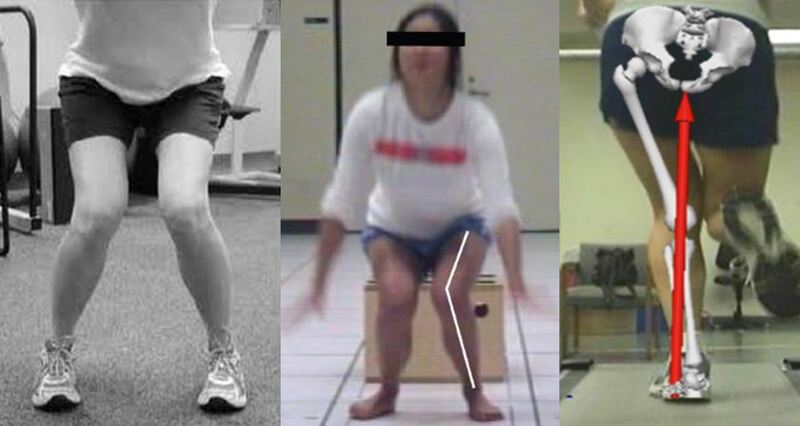 The most common ‘cause’ of PFPS is what we call a Dynamic Genu Valgum, or “Knock Knee” position. This position can lead to an increase in Reaction Force experienced at the Knee Joint which may not result in pain in isolation, but combined with repetitive loading (such as running) can lead to the knee area becoming more sensitive and painful. The following information is based on up to date scientific research to the best of my knowledge. Please use the highlighted links to various Graphics and Articles for a greater understanding. Running is a fantastic means of keeping fit and has many health benefits for the heart, body and mind. However many of us suffer setbacks in our chase for the Runner’s High. Each year, injury affects up to 50% of runners , the majority of which are from overuse, with the knee being the most affected. Contrary to this, Running is Not Bad for your Knees. Pain can be an uncomfortable setback, but should be seen as motivation to address the issue early so we can return to enjoying our running pain free.